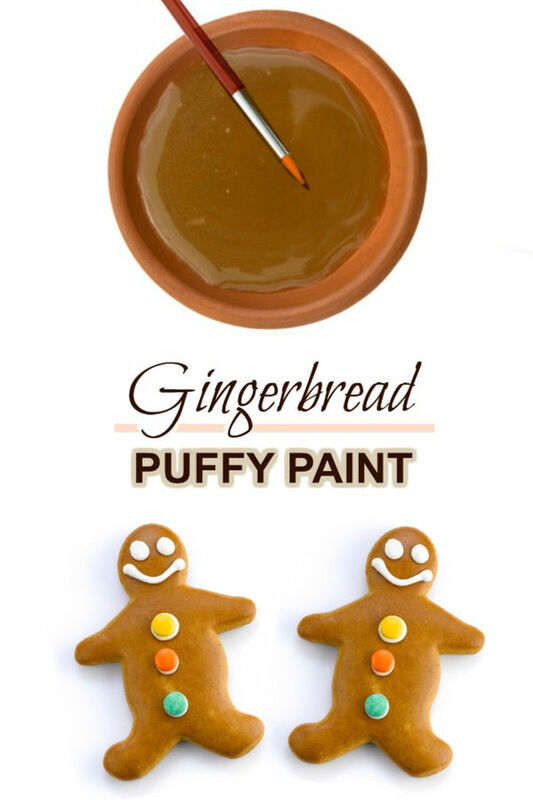 Today, I whipped up a simple gingerbread paint that is great for arts, crafts, and holiday play. 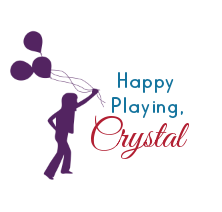 We love making our own art supplies at home. 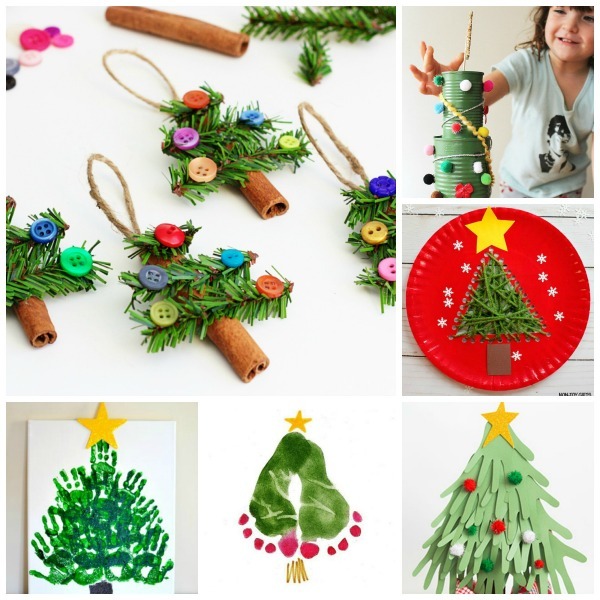 The process is fun, and kids love creating with materials that they made themselves! 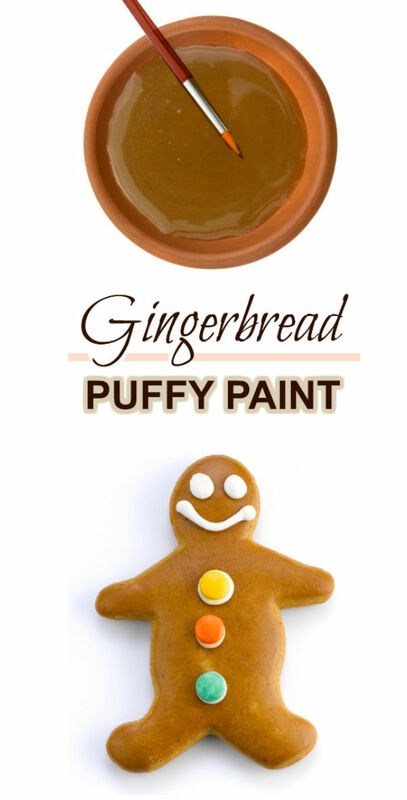 For a full list of our paint & play recipes visit our recipes collection. 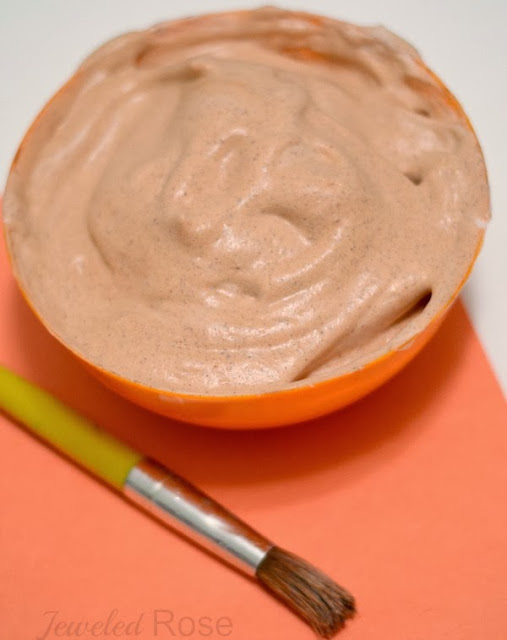 Begin by mixing roughly equal parts of shaving cream and school glue in a bowl. 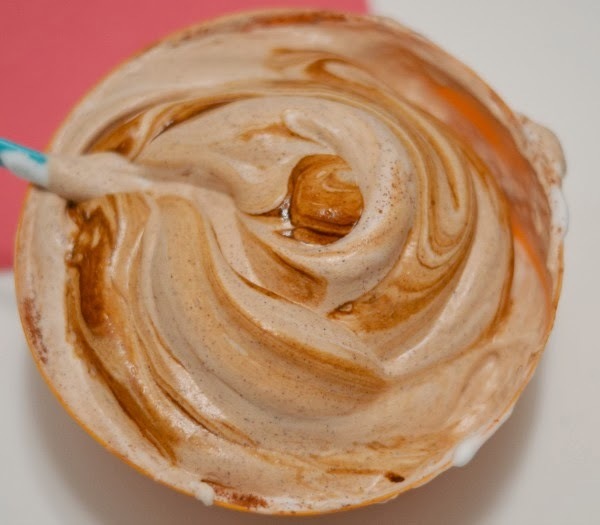 Add several drops of brown food coloring if rich coloring is desired, and then add the spices and mix well. 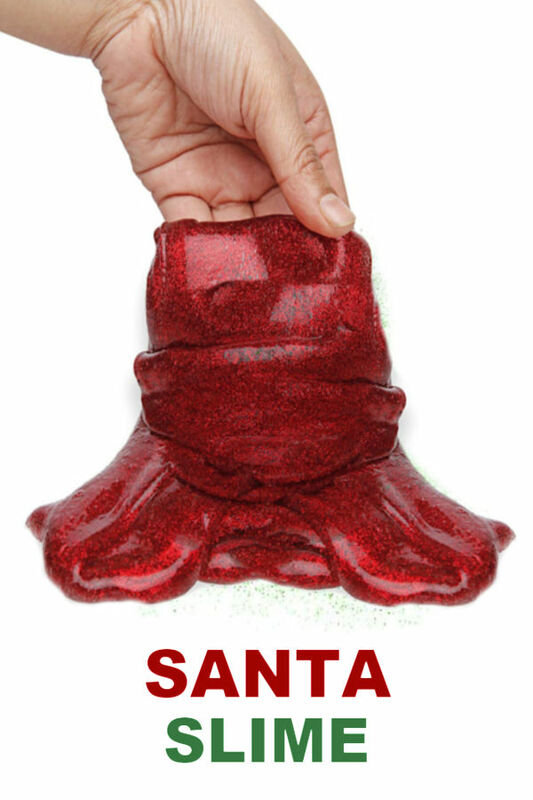 We used a good bit more cinnamon than clove and ginger, and that gave us the perfect gingerbread scent. 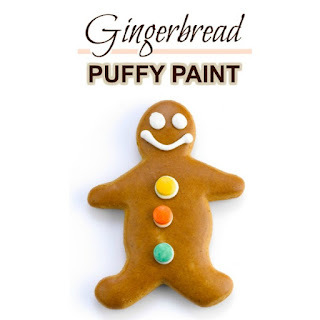 Add buttons and kids can use this paint to make cute gingerbread men that will dry puffy and raised! 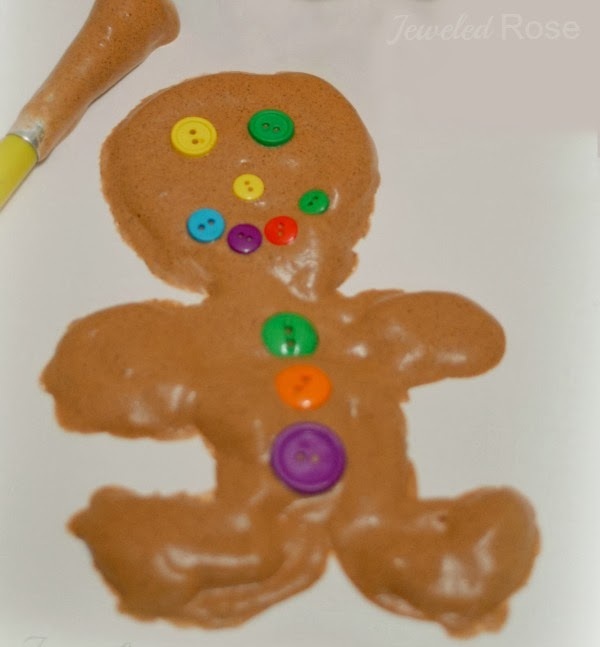 Once the puffy gingerbread men are dry they are so fun to touch! 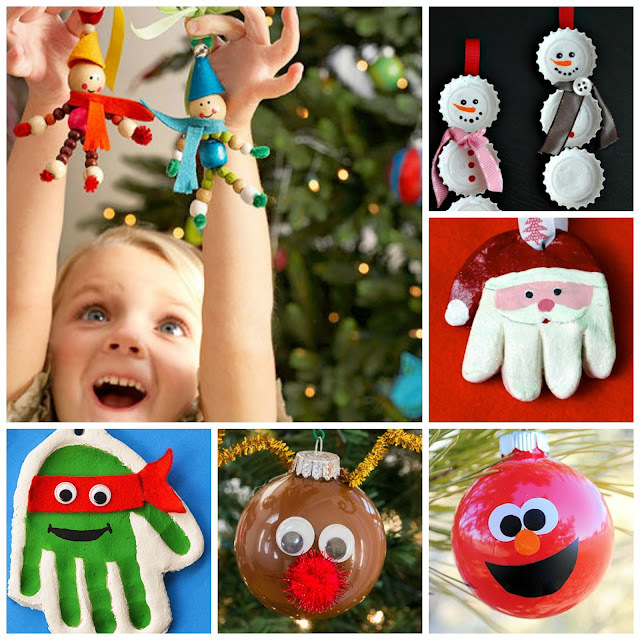 Hang them at child level, and kids will delight in going up and smelling their puffy works of art.